A few members of the Design Team. The lead designer is in the middle. Go Ryan! The outside of the building will eventually get our finishing touches too. This is where the new kitchen was going to go. Originally it was only going to be a stove and a sink. We didn't count on the generosity of an awesome family! ...but it had to be completely cleared first. 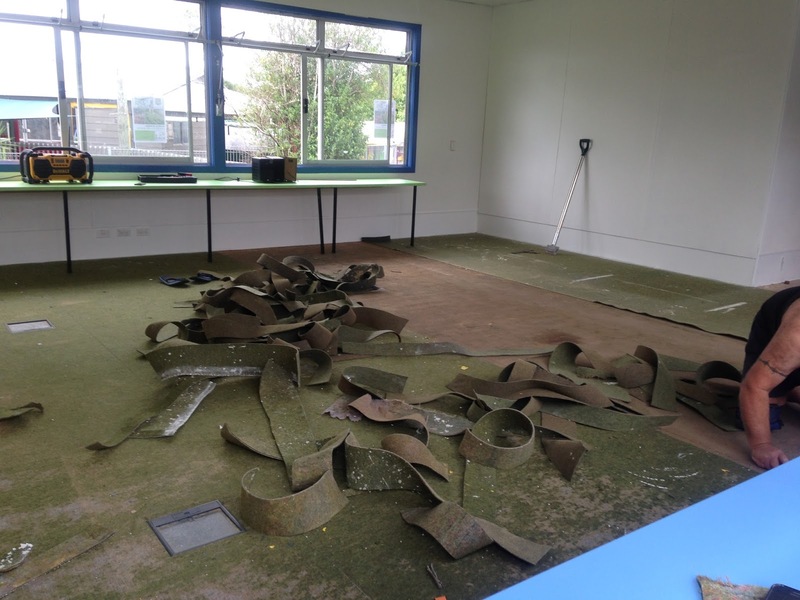 We started measuring for the carpet to estimate how much it might cost and whether floor tiles were cheaper and could be used to create a cool design. The entrance to a world where 'Every step leads to a new idea,' Marco. Poppy's dad had contacts to get us Resene paint and give us so many tips and great advice. It really came in handy when painting THOSE walls! This is going to cover up the old blackboard. The first of the paint arrives and we're beyond excited. Planning and keeping our diary. We used the Design Thinking model to guide us through our learning journey. Paris gets to work removing EVERYTHING from the cloakroom for the breakout space. She's learned so many skills from her grandfather. I think she taught us a lot, (Mrs H). 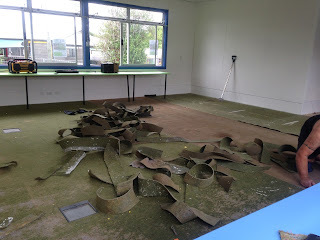 The walls were a killer! Three coats of paint and we had it nailed! ...and the wardrobe which Poppy is redesigning to house costumes for plays, etc. This is where the kitchen will be. 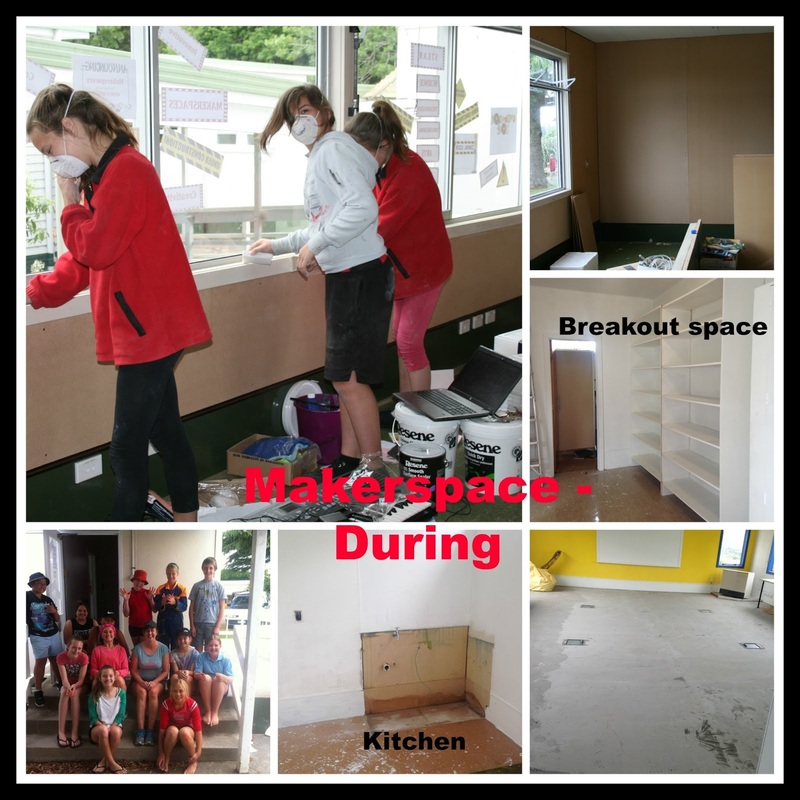 The kitchen started to take shape thanks to one of our families. They donated all the fittings and the hard work! The furniture's here! We ordered this from Mike's Woodshop in Whangarei after working on a budget and looking at prices. 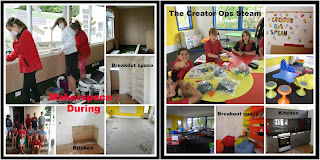 We also had to work out what would suit all age groups, learning styles and the learning environment. It needed to be flexible and adaptable to a range of ages and styles. Everything we ordered from our research started to arrive. A lot of thought, research and planning went into what we ordered and we had to create and stick to a budget. Mrs H said we should be in charge of her budget, we were THAT good! 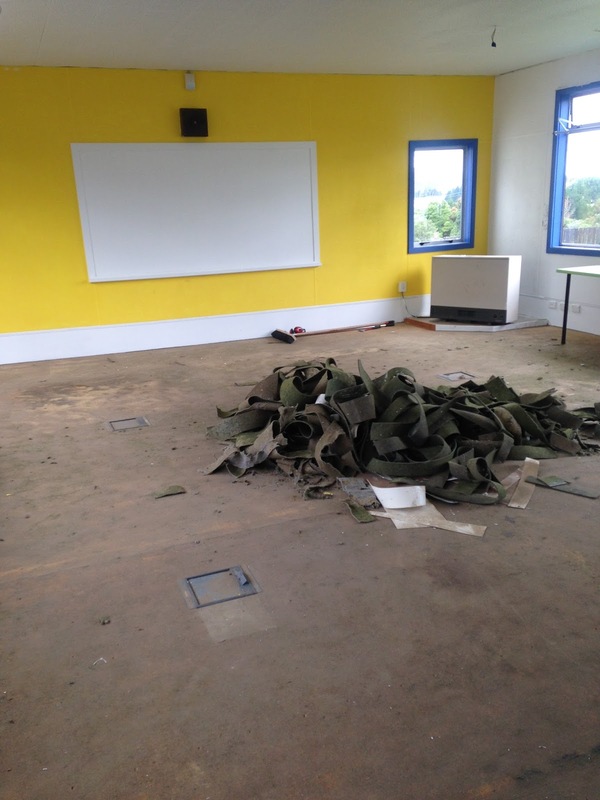 The carpet tiles are finally down and they look fantastic! The ceiling... The idea behind the random coloured tiles is that it's okay to stand out and be different. This idea came from Poppy. And it's finished...for now. 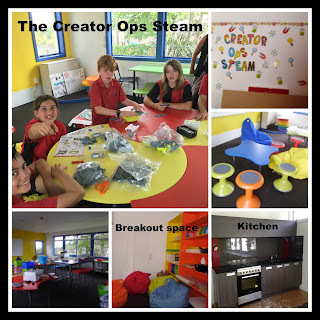 The idea and philosophy is that it changes all the time dependent on who is using it and what the learning needs are. The quote from Marco is so true - "With every footstep comes a new idea." Murray had this sign made for us. We wanted to have it made into a light shade but it's on our wall. Poppy designed and created this sign for the wardrobe to store all the costumes for drama, etc. Thank you for looking through our photo gallery at our learning journey. 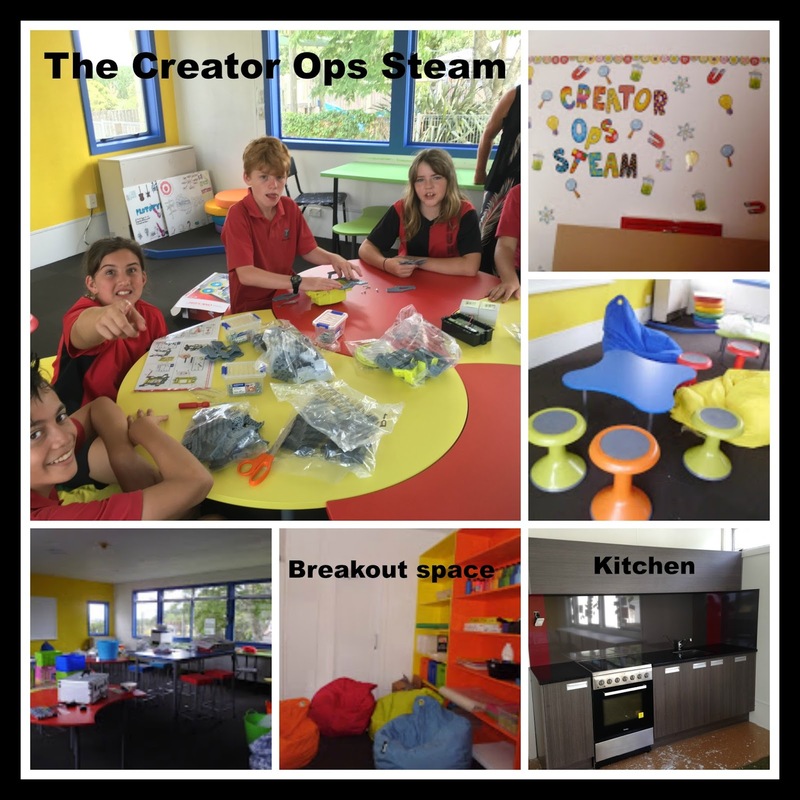 The Creator Ops STEAM Team 2015/2016 Hunua School.